What is an Azure Container Instance? Microsoft Azure Container Instances (ACI) offers users a fast and simple way to deploy container applications in the cloud without provisioning virtual machines or having to adopt a higher-level service. 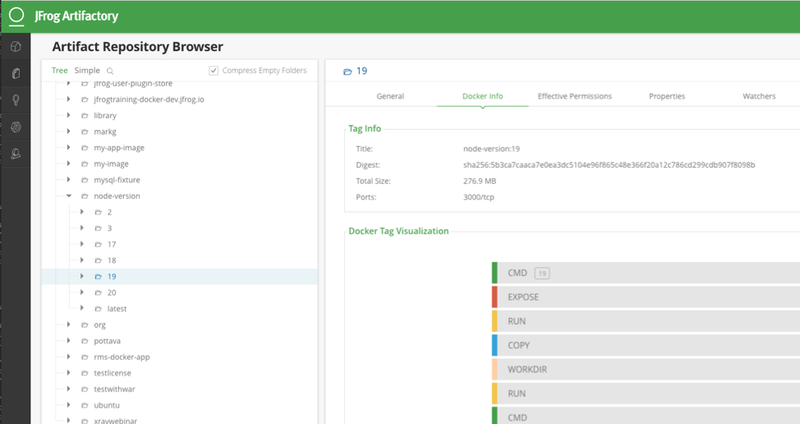 Using ACI, you can scale and orchestrate operations by deploying a Docker container that pulls a Docker image from JFrog Artifactory, while providing the advantages of fast startup and billing granularity of one second. ACI, like all container runtimes, requires a container registry to pull from. When trying to understand the provenance and security of the containers you’re running, JFrog Artifactory can help as your Kubernetes Registry. Artifactory serves as a single access point for organizing all your binary resources. Having a single source of truth for repositories eliminates the complexity associated with managing multiple repositories for your builds, open source libraries, and other 3rd party components. This blog post shows how to integrate Artifactory with ACI. Why Use Artifactory as Your Kubernetes Registry? Managing many repositories for nearly every package type. Controlling access for different dev teams and deployment systems. managing build promotion in your CI pipelines. Integrating with a huge ecosystem of tools. Optimizing storage and solving build performance problems. Deploy the container to ACI by pulling the Docker image from the virtual Docker repository using the Azure CLI. You can skip these steps if you already have Jenkins and Artifactory. Get Jenkins running with this getting started, and then configure your first npm pipeline for practice. Start an Artifactory trial and choose Azure (Cloud), or get a trial license and install it yourself. Follow the steps in this tutorial to configure a Jenkins job to build a sample Node.js app. This application starts simple node servers and displays a page that displays the package version. To learn more about using Artifactory as a Docker Registry, click here. docker: A virtual Docker repository aggregating the local and remote repositories mentioned above. Create a Jenkins pipeline to build and push the Docker image to Artifactory. 1. Log in to Jenkins by using your Jenkins credentials. 3. Create a new Jenkins pipeline job. 4. Copy the Jenkins file from the GitHub example repo to the pipeline script, and click Build Now. 5. Check your newly published Docker image in Artifactory. 2. Create a resource group. The command creates a group named myResourceGroup at the eastus location. 3. Deploy the container to ACI by pulling the Docker image from Artifactory. 4. Get the container public IP address. 5. Access the mycontainer container using the IP address provided in the output of step 4. In our example, we used http://40.71.201.235:3000. 6. View the running container logs. You now have a simple pipeline that builds a Node.js app, manages the NPM package in Artifactory, and then builds a Docker container stored in Artifactory, with traceability between the packages. This allows you to run the container quickly in an Azure Container Instance with confidence while knowing what it includes and whence it came.